Turgot Paris Map Or Board An Batten? 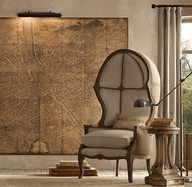 Turgot Paris Map or Wainscoting…which would you choose? I’ve been out of town for a couple of weeks so there has been no decorating going on in the new dining room. That is probably a good thing because it has given me a chance to think about my options and change my mind dozens of times. I’ve finally narrowed down my design choices to two options, here is where I need your help. First, Is this huge Turgot Plan de Paris Map I’ve owned for a couple of years. It is in 25 sections and can be attached to the wall with wallpaper paste or attached to a board and framed. When I say huge, I mean 98″x63″! I would love to trim the wall like the picture above but believe it is beyond my DIY skills. Large enough to cover the wall so no other wall décor. Room is narrow and no furniture would be required. Could not place even the narrowest piece of furniture on this wall. My second option is board and batten with art above. 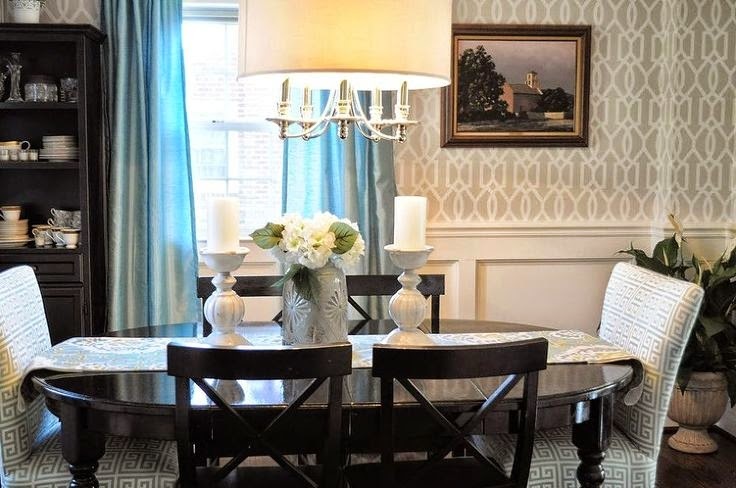 I am also considering stenciling the wall above the board and batten like this pretty dining room at Designing On The Side. Can change look easily with new art. Board and Batten will match kitchen island. Work involved in installing board and batten and stenciling. Room will need repainted a new color for contrast with the white wainscoting. If you are not familiar with our home I want to show you my style. 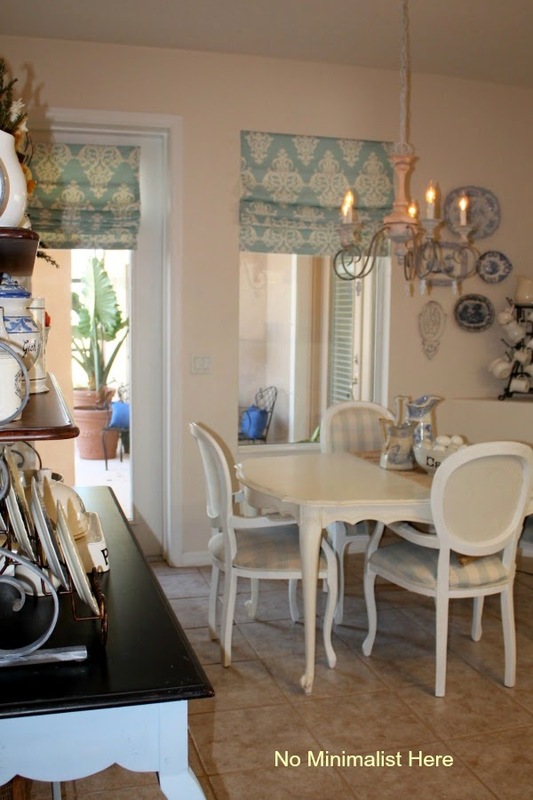 This is how the dining room looks now with the wall down and…. the family room which opens into the dining room. and the kitchen which can be seen from the dining room and family room. So many of you are ultra, ultra talented at decorating so I know you will help me decide what direction to go with the dining room. It’s okay if you don’t like either option, just tell me what you think. I look forward to hearing from you and getting this room decorated. Thanks for your help! I do love the map, Sherry. At this stage of my life, though, I would probably go with what the easiest option would be. Especially if you are DIYing both options. The only issue is if you get tired of it and want to change out the "artwork". You can't. With the second option you can change things up when you want to without it being a major deal. 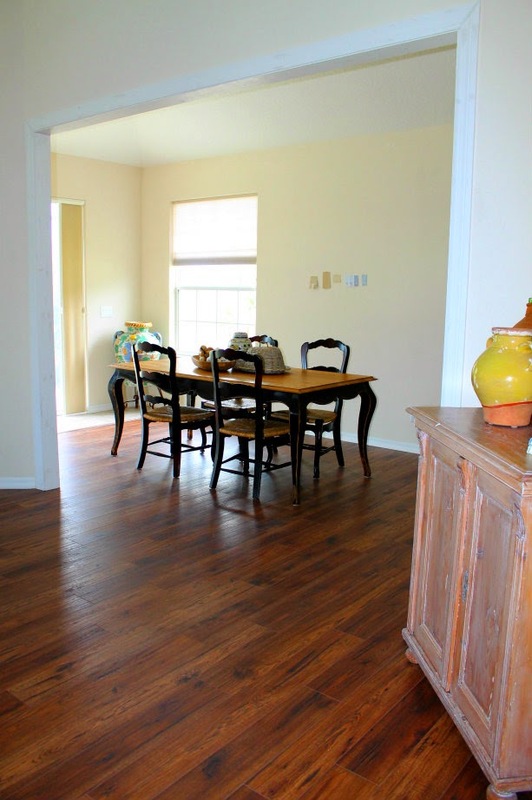 Sherry I think board and batten would look beautiful in your dining room! 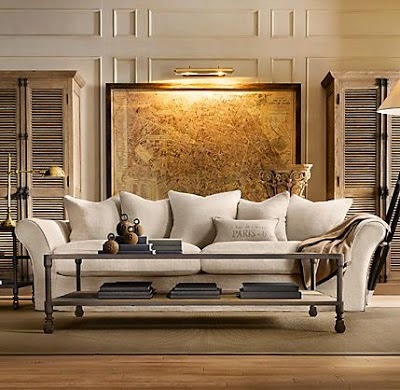 I love the look of the picture molding in that first photo too…I was thinking of doing that on the fireplace wall in our family room. I LOVE all your photos…LOVE your style! I think the map is too heavy a look for what I see in the rest of your lovely home. Board and batten! I love the map what a great and unique piece. We just did board and batten in my front entry way and it was easy peasy to do and pretty in expensive. Good luck with your decision. The map is certainly unique, but then you are stuck with it for a very long time!! I like the board and batten with changeable art above. Whatever you do, I know it will be wonderful!!! Although the map is very cool, it is also a trend and already a little dated… I'd do wainscoting or picture moulding (or molding, both spellings are correct!). You could also just do a chair rail… Your improvements are awesome. Board and Batten – more versatile in the long run though that map is fabulous. Sherry, go ahead and hang your map. If you decide later that it's not right for the look you want, take it down and install the paneling. For the record, I think the map will be awesome. I think the giant map hung on that back wall would look amazing! The fact that you already own it would be a plus. It's probably your least expensive option and looks like it would flow nicely with the rest of the house. Like the classic board and batten. Lends more versatality to the area. Map is cool but scale way to large or such a space and also a bit too trendy for the long haul. Beautiful rooms btw!!! The map would be amazing; however, it is up to you as to whether you would eventually want to change it out…I think doing the board and batten would lend such great architectural interest to the room and would satisfy your love for changing things about…Is there another area in your home that the map would be a great place for?…as that map is certainly something that should be displayed. You have two great options. Either one will work with a few changes (maybe not so few!) You have both warm saturated colors in your rooms that would go well with the map. You also have some cool blue and greys that you could enhance with the board and batten. I think you need to decide which of the color palettes you like the best and follow through with those colors in all your rooms. I hope this is helpful. 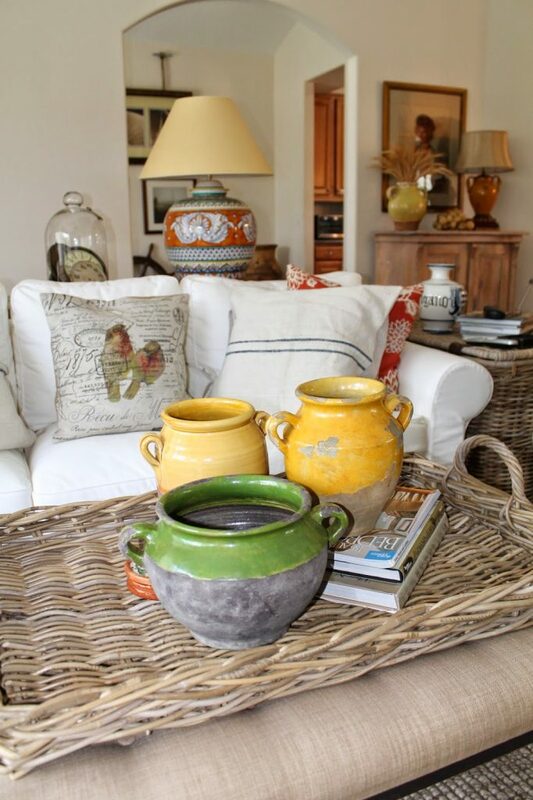 I love both your ideas – As an interior designer, I believe that we should go with the option that speaks to our "heart". I really love the large map. I do not believe its a "trend". I think its a classic look that never goes out of style. If you're not sure about the scale, you could always install the board and batten and place a smaller version of the map above it. That way, you're getting to use both options! Definitely the map!! Love it, and it would make such a an impact, a total wow factor! Unless you are one who likes to change things quite often, I vote for the map. It would make a big impact with fairly little effort! Wow Sherry….I think either choice would be the right choice. I had a not stenciled forever until I recently did my hollywood regency bedroom and I love it. There is so many stencil choices and it really was pretty easy! 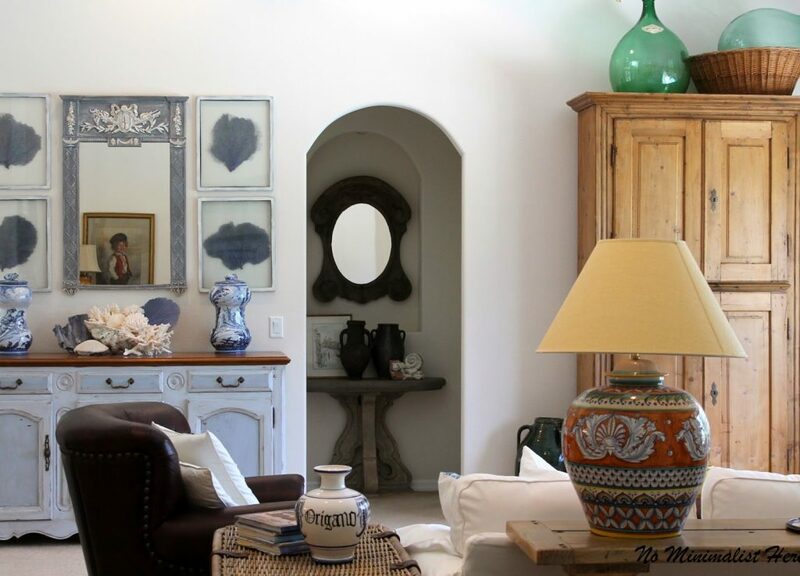 I am thinking of doing a wall in my living room with stencil…Can't wait to see what you decide! I think the map would be fabulous. You are "No Minimalist Here", and the map definitely is a spectacular. Not everyone can pull off the Paris map and board and batten is more "expected." While I think both are great options, I think I would go for the map. It is a statement piece and it's easy to put up. However, if you plan on changing decor around then the bead and batten is more versatile. I think it would look stunning actually! Map! First off, I don't worry about "trends." If I did, I'd be re-doing all the time and still be behind. Who needs the pressure? Secondly, stenciling is time consuming! Moreover, you may decide in a few years that the stencil you chose is now passe. Third, from one non-minimalist to another, I say go for the unique and memorable. THAT will never be passe.